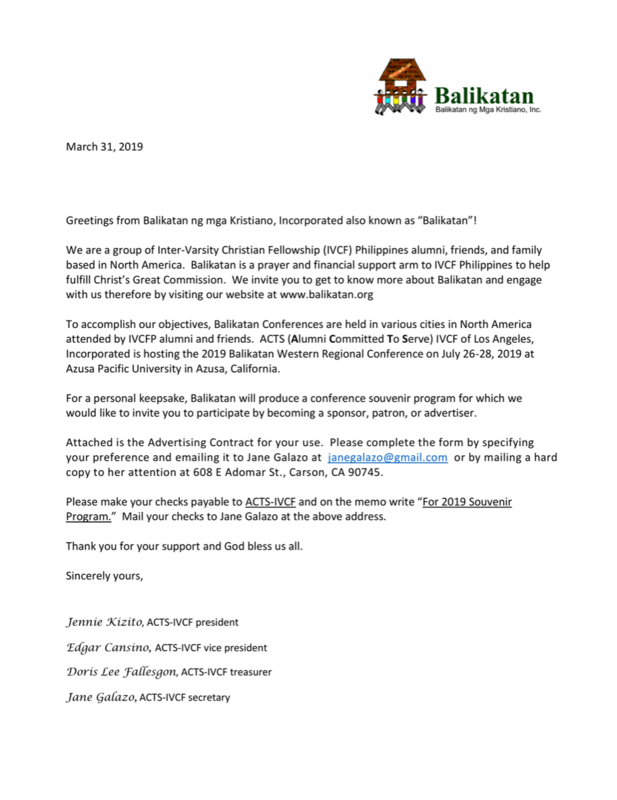 2019 Balikatan West Coast Regional Conference - Balikatan Ng Mga Kristiano, Inc. Therefore, be careful how you walk, not as unwise men but as wise. Making the most of your time because the days are evil. First Come, First Served Basis. Please REGISTER NOW! 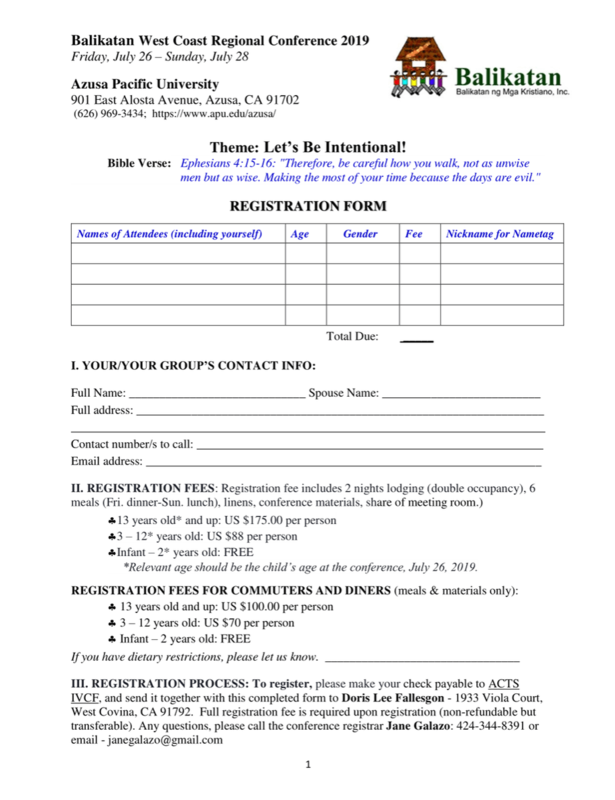 Download and fill out this form to register for the conference. 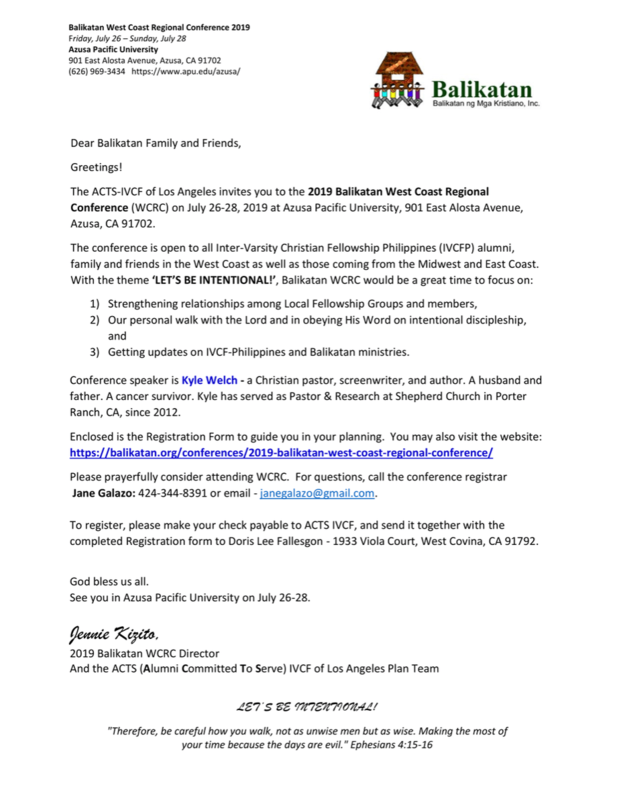 Read the Invitation letter to the 2019 West Coast Regional conference. Please prayerfully consider sponsoring the souvenir program.